The album was certified Platinum by the RIAA. 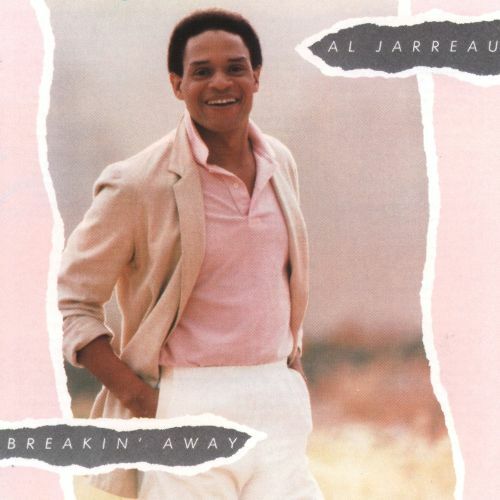 Breakin’ Away was the best performance Al Jarreau had on the charts. It stayed on the Billboard 200 for 103 weeks and peaked at #9.The album also hit #1 on both the Jazz and R&B charts. Three single releases made the charts: “We’re in This Love Together” (#15 pop, #6 AC, #6 R&B), “Breakin’ Away” (#43 pop, #30 AC, #25 R&B), and “Teach Me Tonight” (#70 pop, #19 AC, #51 R&B). At the Grammy Awards in 1982 the album was given the prize for Best Pop Vocal Performance, Male, while “(Round, Round, Round) Blue Rondo à la Turk” received the award for Best Jazz Vocal Performance, Male. The album was also nominated for Album of the Year.